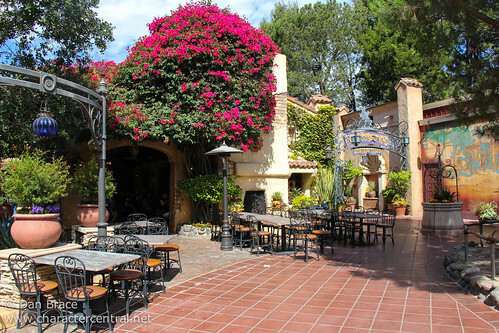 A pretty restaurant serving Mexican style food, with great views to Big Thunder Mountain. This restaurant is nice at night, when the different coloured lamps are lit in the main seating area. It's good to note that you can get free refills on your drinks here.